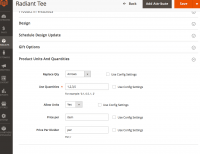 Customize measuring units and quantity fields by using individual settings for one product or general for all. The extension allows to introduce your specific measurement units and make it more convenient for customers to order more at once. This can be done by using dropdown, arrows, plus minus or slider instead of the standard Magento Quantity field. 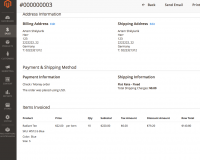 Product Units and Quantities for Magento 1. Localization is a part of the deal when it comes to expanding ecommerce business operations by entering new markets. As metric systems vary from country to country, it is important to make sure that you sell your products in the units your target audience is used to. Thanks to the extension, retailers can easily introduce custom units at their stores and so make a great impression on new customer segments. Give customers a choice of different measurement units and quantities so that they select the ones they prefer. 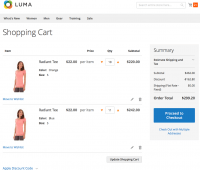 Using convenient elements like a dropdown menu, a slider or arrows, buyers will be able to opt for the required product amount within seconds. Enhanced usability coupled with higher customer satisfaction will bring nothing but sales. Thanks to the module, online retailers get the opportunity to sell products straight off in bulk being able to offer packs, pallets and other wholesale units to B2B customers. This makes it easier to target bigger customers and serve them better, this way increasing the average order value. 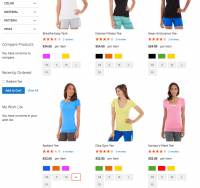 Why Use Product Units and Quantities for Magento 2? Set any measurement and Qty (50$ per 10 items, 20$ per kg, 10$ per box). Specify the default Magento Qty field in 4 ways: dropdown select, plus minus buttons, arrows buttons, slider. Places, where customized qty and unities will be displayed: wish lists, shopping carts, product pages, catalog, invoices, orders. Use settings for each product individually or apply general to all products at once. Use simple, configurable, grouped or virtual products to work with. 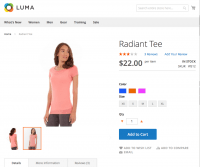 Product Builder & Cuztomizer extension for Magento 2 – Provide customers with the opportunity to purchase custom-designed items at your store. Magento 2 Product Reviews module – Receive authentic and trustworthy customer testimonials for any products at your store. 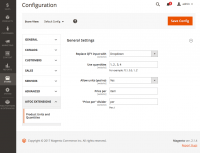 Magento2 Product Custom Options – Create templates with custom options and assign them to your products automatically. Grouped Product Options extension for Magento2 – Split simple products into bundles and customize product options for each of the group. 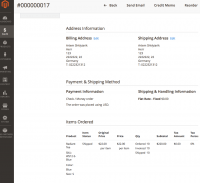 Product File Attachments for Magento 2 module – Provide comprehensive product information to your customers by uploading additional files on the landing pages. I sell products in packs so it’s very convenient for me just to add “per pack” unit to my product page. The extension is easy to install and manage, and communication with the dev team is so fast and easy. Recommend! Installed this to sell per litre, very good. Easy way to manage quantities we sell. Helpful when you need custom units for your store, but quite buggy. The Aitoc team is fast to respond. I'm waiting for the new release that hopefully will eliminate the issues I'm facing here and there. Extend Magento 2 default layered navigation by letting customers select multiple parameters at once.